We’ve been keeping track of Black Friday 2017 miter saw deals, and are some very good buys this year. If you have a particular miter saw in mind, but it’s not on sale for Black Friday 2017, you could wait to see what Cyber Monday brings. Or there might be a flash or lighting deal. If you have any specific requests, don’t hesitate to ask! We have lots more Black Friday tool deal coverage planned and in the works, and I’d be happy to accommodate more if I can. So keep the questions coming! There looks to be a new Hitachi miter saw deal for Black Friday and the 2017 holiday season in general. This 15A 10″ single bevel miter saw, C10FCG, looks to be new for the season, and is priced at $99. Update: The price is now $89 at Amazon. It looks like a no-frills saw, but I’m hoping that means that extra quality went into the accuracy and performance. 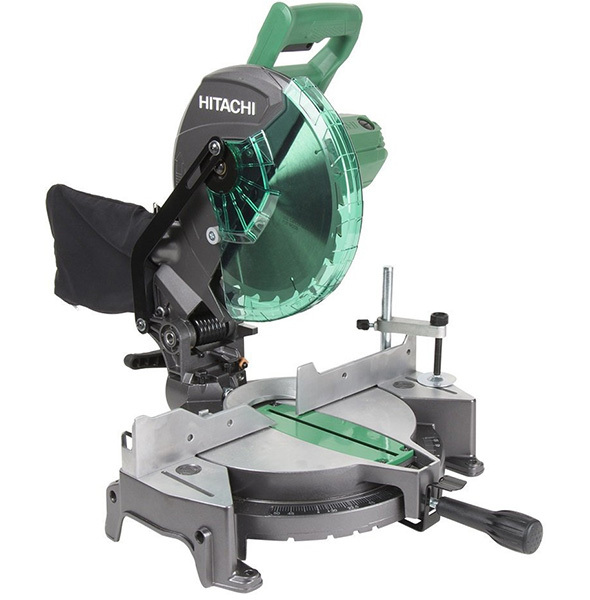 I like the Hitachi brand, and if I were shopping for a miter saw on a tight budget, this is probably the one I’d take a risk in trying. It’ll be $89 as part of Acme Tools’ Black Friday 2017 sale. 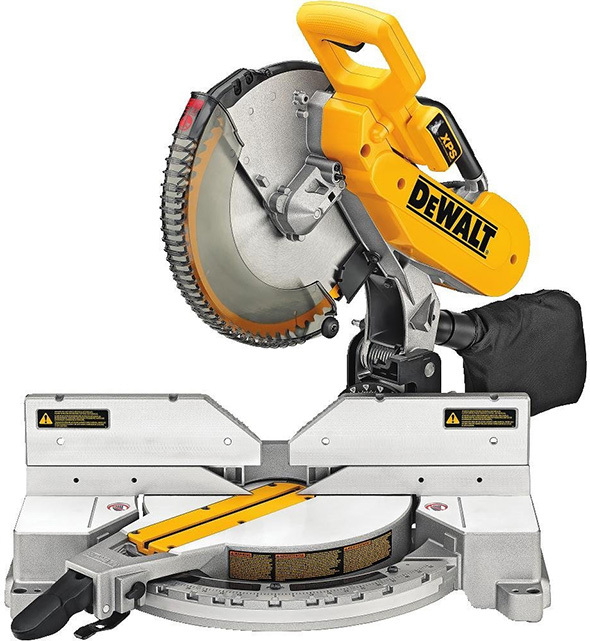 The Dewalt DW715 is a 12″ single-bevel compound miter saw. it’s also a somewhat no-frills model, but it seems to have great reviews. Right now, it’s $229 and eligible for $25 off $100+ discount, leading to a final price of $204. 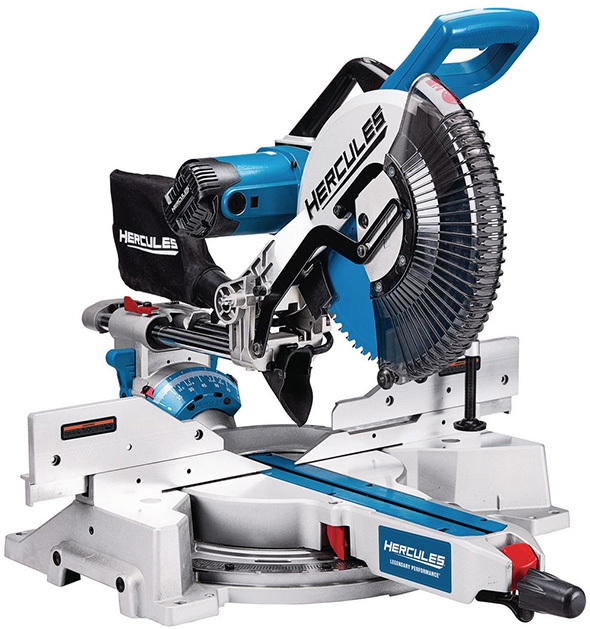 This is probably the least expensive pro-grade 12″ miter saw you can buy. If you can accommodate the single-bevel design, this is a fantastic deal. 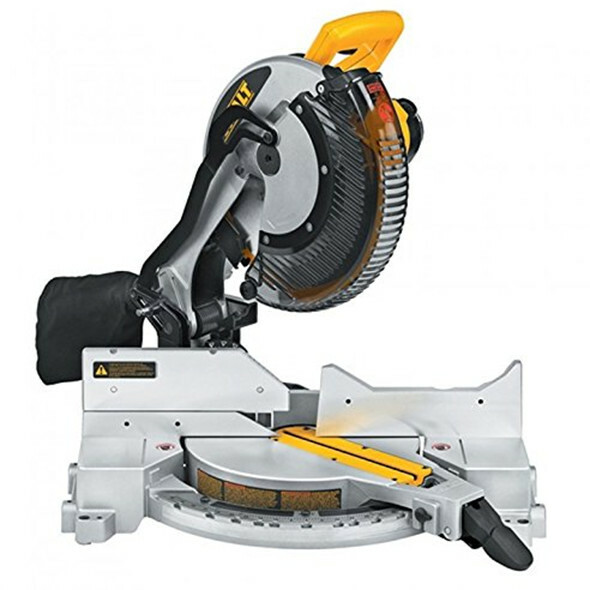 The Dewalt DWS779 is their slightly lesser 12″ sliding miter saw, at a lower price point than their DWS780 flagship corded 12″ sliding miter saw. If you want that top of the line DWS780, some stores typically offer a “buy the saw, get a free saw stand” promo later in the holiday season. The DWS779 is a dual bevel saw, and with the back fence design it can make cuts of up to 16″ in 2x material, at 90°. As far as I can tell, the DWS779 is most available during seasonal holiday shopping seasons, and it’s nearly identical, or at least very similar, to the DWS780, but it lacks the pricier model’s LED shadow cut line guidance system. There might be other differences, but it’s hard to tell. I couldn’t tell you what the differences are between the DWS779 and the DWS782 holiday season model that preceded it. 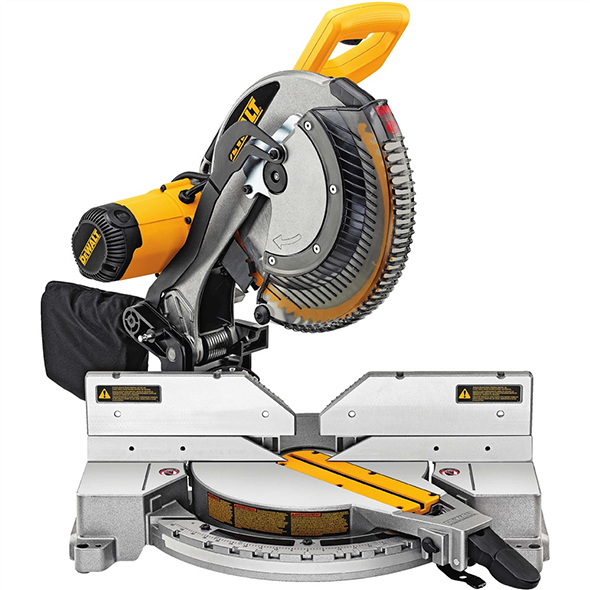 This model seems to have very good reviews, and is probably the best-featured pro-grade 12″ sliding miter saw you’ll find at this price. The Dewalt DW716 12″ double bevel compound miter saw isn’t a slider, and has a 2 x 10″ max cutting capacity at 90°. But it’s going to be smaller and lighter than the DWS779. It’ll be $299 and will also come with a bonus FREE compact miter saw stand. This will be a Home Depot Black Friday 2017 deal. The free stand, which Home Depot says is valued at $119, makes this a sweet deal. 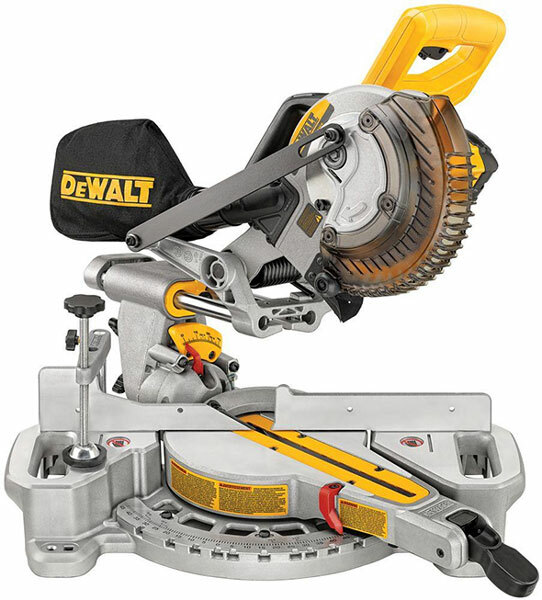 This Dewalt DW713, a 10″ single bevel saw, will be on sale at Home Depot for $149. I’ve tested this saw before, and really liked it. It’s compact, pretty powerful, and had good cutting capacity and great accuracy. This is a “regular” product for Dewalt, not a holiday season special. It normally sells for $219. If you have your eyes on the Hitachi saw, above, or any consumer-model 10″ miter saw, consider bumping up your budget to get this one instead. One thing I didn’t like about this saw is that it doesn’t come with a hold-down clamp. Maybe that has changed, but it doesn’t look like it. 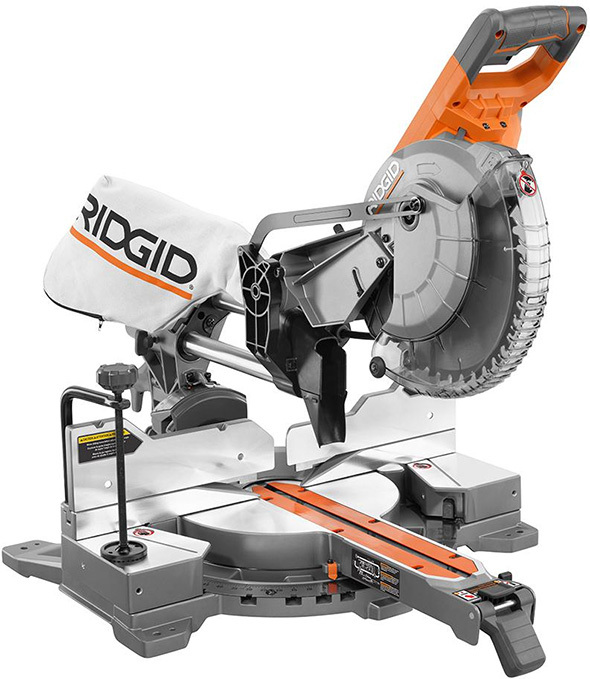 Ridgid’s R4221 12″ 15A dual bevel sliding miter saw will be on sale also, for $299. Ridgid emphasizes its “industry-leading” 0-70° miter range left and right. Unbeknownst to me before working on this post, this Ridgid saw has an LED shadow cut-guidance system. That’d be one reason to consider it ahead of the Dewalt deals mentioned above. 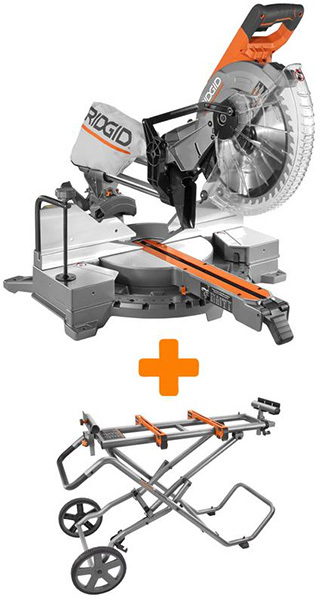 There might be some kind of deal pricing on this Ridgid R4221 miter saw and AC9946 miter saw stand combo. it’s currently priced at $499. The saw itself will be on sale for $299, and the miter saw stand will be on sale for $99. So… maybe we’ll see that bundle for $399 as an online-only special? This is Ridgid’s AC9946 miter saw stand, and as mentioned, it’ll be on sale for $99. Its predecessor was very highly regarded, at least according to readers and the user reviews I read. This one looks to have been very minorly updated, with the most glaring change being the new closed-loop handle. There will be a Kobalt 7-1/4″ sliding miter saw, as part of Lowes’ Black Friday 2017 tool sale. Kobalt says it’s ideal for moulding and framing cuts. It’s a 9A slider with maximum crosscut capacity of 2 x 8″. Before you get your hopes up, let me stop you right now. This is NOT the new fancy Delta Cruzer saw with “robotic” gliding arms. 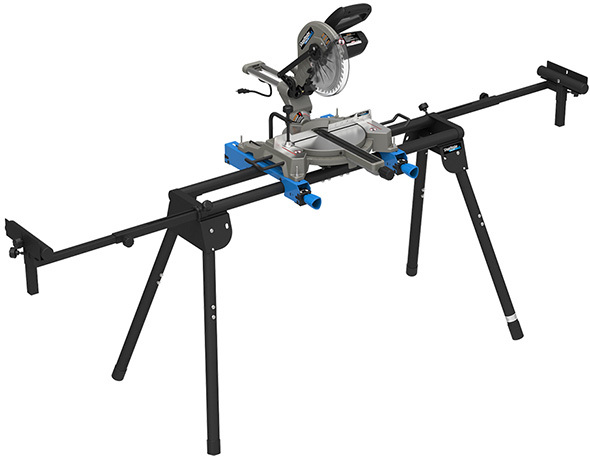 The deal is on the Delta S26-261LS, an entry-level combo that features a 15A 10″ single bevel miter saw and a folding miter saw stand. This deal gives you a lot of bang for the buck, but it seems to be new with very few reviews. There’s always some luck-factor and risk when considering entry-level deals like this. What was sacrificed to achieve such a low price point? Accuracy? Quality? Or is it simply a good deal? Porter Cable’s folding 10″ miter saw is already on sale. It features an innovative space-saving design. User reviews are mixed, but it might work out well for you if you want a 10″ single bevel miter saw that can be easily stored away. Just hold onto your receipt until you’re sure it’s a keeper. There’s no discount on the Milwaukee M18 Fuel sliding miter saw – sorry – but there are a couple of “bonus free tool/accessory” options to choose from. You can choose from between a free M18 stand light, 9Ah battery pack, Fuel circular saw, Fuel reciprocating saw, 1/2″ impact wrench. 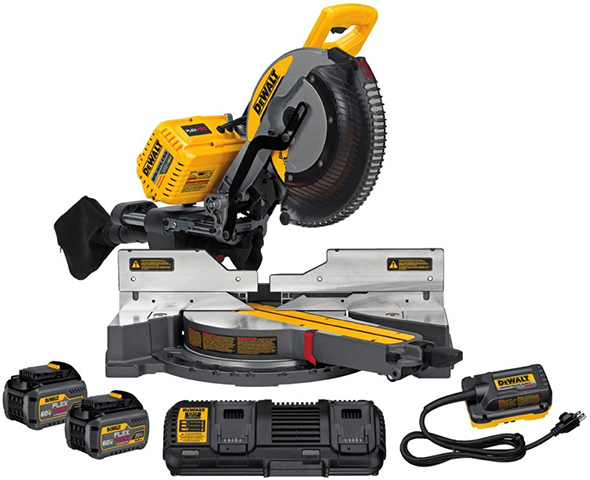 Amazon recently listed the DHS790AT2 FlexVolt 12″ double bevel sliding miter saw as “currently unavailable.” This is their 120V Max 2-battery kit that also comes with an AC adapter. This is the best cordless miter saw on the market right now, and one of the top corded saws I have ever used. Does “currently unavailable” mean that they’re waiting for a new shipment, or did they put a stop on sales in preparation for a lighting deal, deal of the day, or other such promotion? 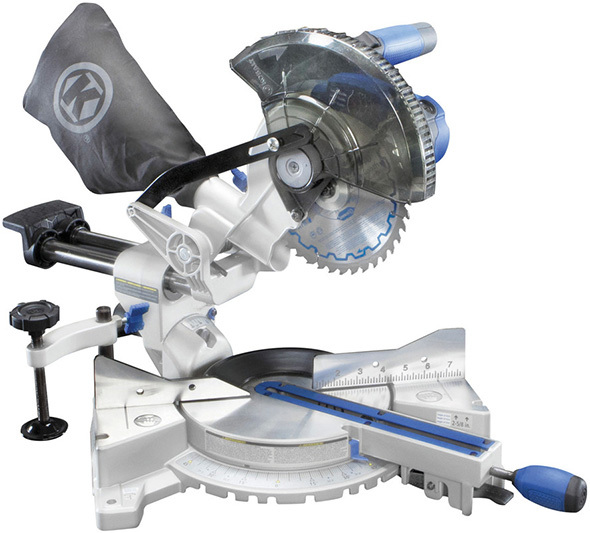 Maybe a “buy this FlexVolt miter saw kit, get a free miter saw stand” promo? That would be great. Do you know of another good miter saw Black Friday 2017 deal? Please share! I didn’t see any Bosch miter saw deals this year, but the current $30 off $149+ and 11% off promos might be worth looking into. Or wait to see if there will be a good Cyber Monday coupon code. There is also a Ryobi Black Friday deal – a 15A 12″ slider, similar to this one, but it hasn’t been posted to Home Depot’s website yet. 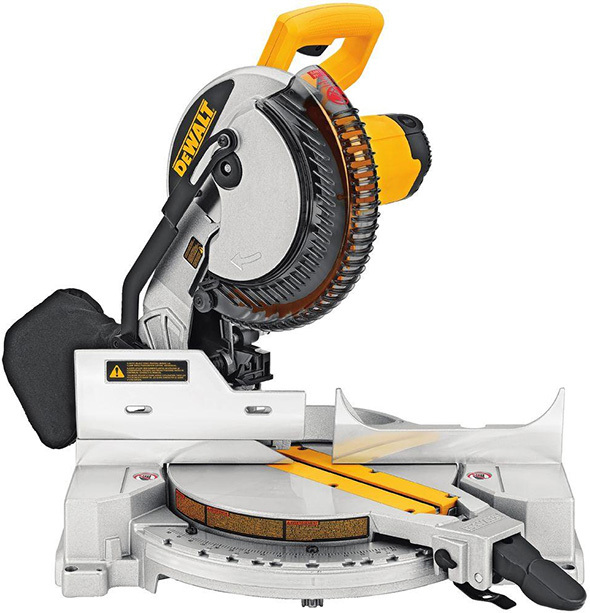 The Dewalt DCS361B 20V Max 7-1/4″ sliding miter saw is currently priced at $224, for the bare tool. 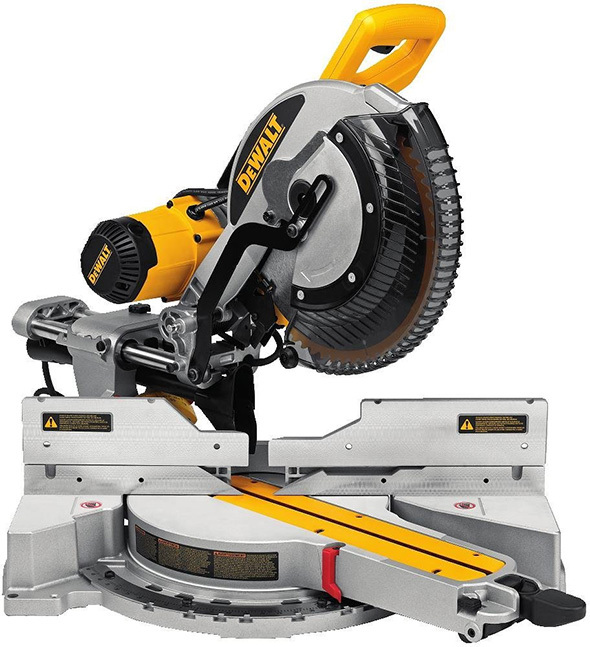 I know everyone is hot and heavy after the new Dewalt flex volt miter saw but the DCS361b (bare 20V) mitre saw is $225 on Amazon at the moment and that is the lowest price I have ever seen for that tool. 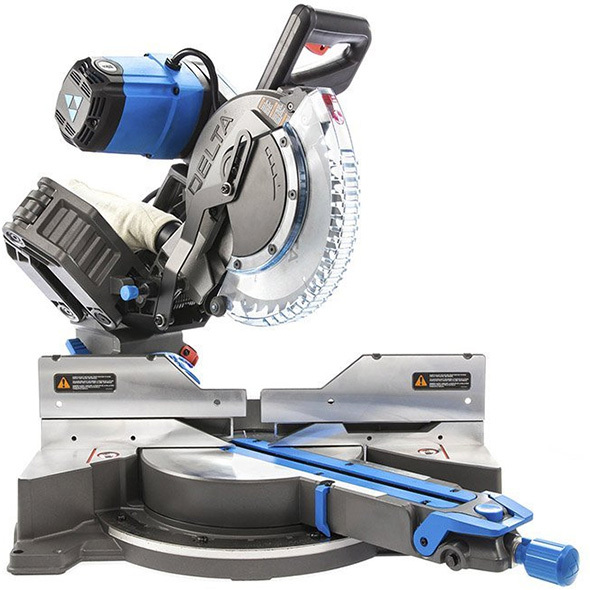 As mentioned in the comments, the Delta Cruzer 10″ gliding miter saw is on sale at Lowes, for $349. The Delta Cruzer is on display at my local Menards and in stock at Lowes…. She’s pretty but that dang price tag! Did you read what I wrote? The “free bonus battery” promo comes around, but I don’t remember the last time you could choose a different bonus. 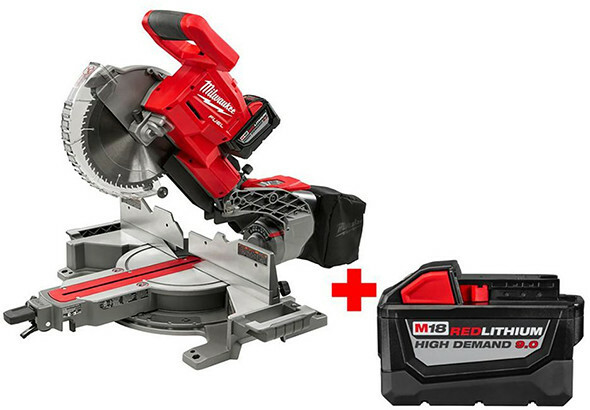 An M18 Fuel circular saw is $159 to $199. If someone wants that M18 miter saw, it is a “deal” to get a $100+ bonus tool for free. You pay the same, but you get more for it. The mid-torque impact wrench sells for $189. Not only that, but as your picture indicates Home Depot still has a lot of the “free second 9.0 battery” kits in store. Combined with the free tool (even if you take a third 9.0) it’s a pretty rocking’ deal. I think it’s worth noting, that the Ridgid is the only miter saw (that I know) that can factually cut 16 inches on a straight chop cut. Yes I know DeWalt claims that their 12 in. slider can do it but it’s really a very gimmicky claim. To achieve such a cut you have to screw on a couple of boards to the base (to raise the cutting surface to widest part of blade) which, a. is a pain b. if you make any miter cuts you ruin it,and on top of that, if you have to make modifications, you can do that to any saw. Sorry for the ramble. Good point, thanks! I knew that about the Dewalt, and I believe the same is true for the new Delta Cruzer. But I didn’t know the Ridgid didn’t need that extra hassle. Thank! I added it in. Lowes also has the Dewalt DWS780 with free DWX723 stand on sale starting Thanksgiving day. Delta cruzer will be on sale in 300 select stores on BF. The 12″ will be $399 and the 10″ will be $349. Both will come with a free stand. Incredible price if you have a participating Lowe’s near by. Delta posted it to Instagram with participating locations. They’re available now at that price, in-store and online. Tempted to get the 12″ to replace a HF 12″ that I was never able to get close to usable when sliding, though I don’t have a need for the free stand. Beware of the Cruzer! I went around testing all of the show models at my local lowes and the Cruzer 10″ had a bunch of slip in the mechanism. I was bummed because I thought it was the saw for me but after that, I’m desperately trying to find a compact, ACCURATE slider. The new makita looks promising (ls1019l). It’s also already live for online ordering. My store doesn’t have the Cruzer, but the website looks to allow me to order one for home delivery. Isn’t Lowe’s advertising the DW715 for $179 on Black Friday? Thanks! I missed that, added it in. Maybe Amazon with match the price. Great price on a really good saw. I guess Bosch and Makita are quiet on this front this year? 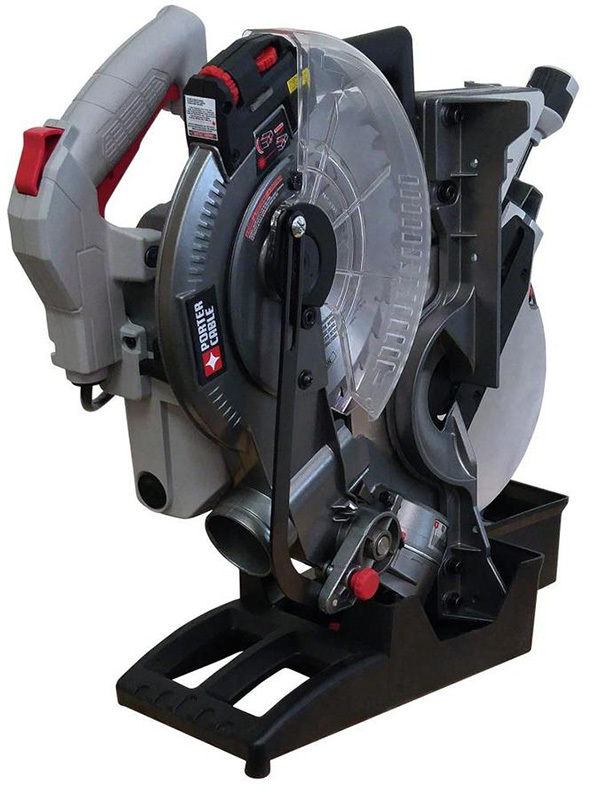 Zoro’s price is so far out of whack on the Bosch GCM12SD – that even with 25% off they only save you about $10 – and my experience with Zoro’s shipping has been hit and miss – so I would not trust them on this heavy saw. Still plenty to choose from. As I mentioned in a forum thread, I purchased the craftsman 10” compact sliding miter for $190 plus $32 in points for a future purchase I’ll use on the miter stand that’s on sale. Going to arrive this week hopefully! I bought the Craftsman saw and the stand for combined around $200 a few days ago as well. The saw needed some minor adjustments (all described in the manual) but is very accurate once calibrated and comes with a fairly nice blade. I really enjoy the compact design, and it’s working well for us (renovating a house, but not a contractor, so limited comparison). This is your best bet. Or maybe wait until Cyber Monday to see if there’s a better coupon promo. The little Dewalt 7.5″ 20V mitersaw is a gem! I can’t stand having multiple battery platforms, and I’m a Makita user with 10-14 tools, but I bought and love using the Dewalt Cordless miter saw. I went with the Dewalt because the Makita is about $500 bare tool and it runs at about 2500rpm, where as the Dewalt is about half that price and runs at 4400rpm for better cuts. The dewalt miter saw has great dust collection when hooked up to a vac and is easy to modify with zero clearance table inserts, crown molding ancillary fences, and a crown molding table platform with crown stops. Great saw – I’ve remodeled entire basements with it. JT, I too have invested big time in Makita tools but am intrigued with your comment. Is this Dewalt DCS361B? Toolup is having coupon code (BFBT) sale – 10% off bare tools. I did some checking and Toolup’s price is not be such a great deal. The 10% off BFBT deal at ToolUp may be useful for some other high ticket items. I have the Kobalt 7.5 slider, and it is decent for the $99.00 I paid two or three years ago. Last week, I scored an incredible deal on the Dewalt Flexvolt saw. It is impressive so far, but I haven’t had time to test it on a 2×12. Now I need a stand for the Flexvolt. 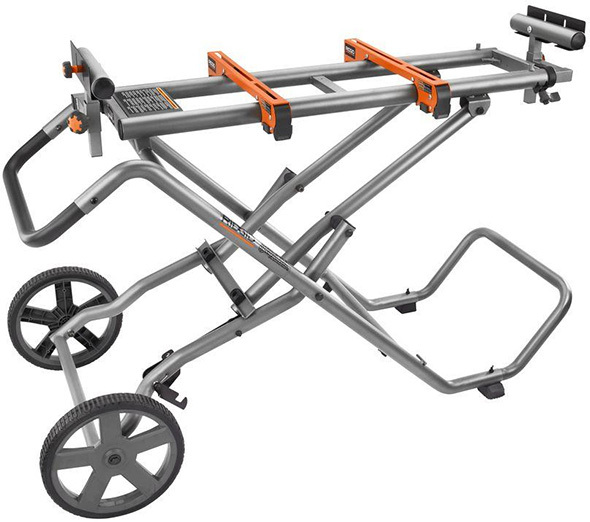 Anyone have experience with the Ridgid rolling stand? Did you get the $400 clearance deal at HD? I drove to 5 different Home Depot’s in a single day looking for it. No dice. I’ll add that the Dewalt blade is an excellent blade as well. I’ve never been a fan of the cheap Dewalt yellow-rimmed blades – would rather pay twice as much and get an Italian-made Freud or better, but that little 7.5” blade they sell for about $22 for their miter saw makes very impressive cuts. Hitachi’s promotional video on youtube for the C10FCG (featuring a remarkably life-like robotic announcer) has a comment asking why the new model (FCG) is 2 lbs lighter than the popular budget hobbyist model, FCE2 (which goes for a bit more), and how that was achieved. In any case, considering the price of its predecessor and the cost-cutting measures noted, it seems that the FCG was designed for a price point near to what it’s currently selling for, so while it may represent a good value, it’s probably not an unusually good deal. Has anyone had any experience with the Ryobi 10″ slider? I think HD has it for $169 with a free stand or something and I’m curious if it’s a solid saw. Thanks! Has anyone had any experience with the Ryobi 10″ slider? I think HD has it for $169 with a free stand or something and I’m curious if it’s a solid saw. Thanks all! The Dewalt DHS790AT2- Flexvolt 12” slider is also on sale for $599 at HD. 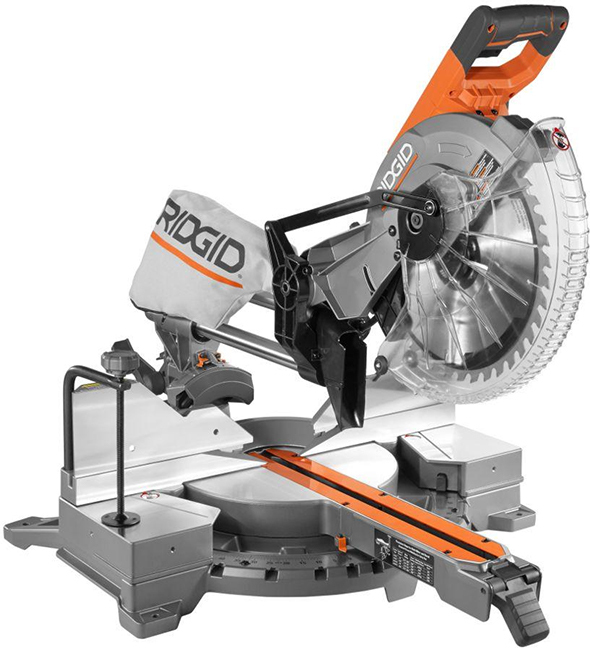 I picked up the Ridgid 12in Sliding Compound Miter saw (R4221) and Ridgid stand (AC9946) over the weekend. I am very pleased with them both. I had heard of some issues with blade wobble but mine shows no signs of that issue thankfully! Initial cuts out of the box were smooth and square, can’t ask for much more than that. I believe RIGID is the only saw on your lineup that has a lifetime guarantee. I have done a lot of reading about the 12 inch and the major problem is with blade vibration . Hopefully there is a fix. I personally think you can’t go wrong with RIGID tools for household use.